YouTube is a video propagating site. In February 2005, it was founded by three ex PayPal workers, on which customers can upload, sight and distribute videos. The business headquarters is situated in San Bruno, California. It utilizes HTML5 and Adobe Flash Video technology to show a wide range of user created video stuff, counting picture snips, television snips and recreational stuff like educational videos, short original videos and video blogging. Most of the stuffs on YouTube have been uploaded by people, though media companies including the BBC, CBS and other groups provide some of their bits and pieces through the website, as a division of the YouTube business program. There are currently 2 consumer reviews about Youtube available. Share your review. WHY OR WHY am I not able to get into my YOU TUBE account after MANY attempts and emails to you. Also, there is no place to contact any help....I am exasperated...can someone call or email me regarding getting the password to my account so I can establish a new one? I forget the password and have NO WAY of getting it...your steps are crazy and wrong...I have tried to two days to figure out a way and cannot. HELP HELP HELP you have NO CONTACT INFO or CUSTOMER SERVICE on your site...WHY NOT???? THE 'SEARCH' BOX AT TOP OF 'MY PAGE' IS BLOCKED THE 'SENDFEED' BOX IS BLOCKED WHAT AM I TO DO????????????????????????????????????????????? 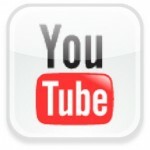 Please take a note that you are about to post a public review about Youtube corporate office on CorporateOffice.com. This review will be public, so please do not post any of your personal information on this website. If you would like to contact the corporate offices of Youtube, please use their contact information such as their phone number, website, and address listed above to contact them. However, sometimes staff from Youtube headquarters do read the reviews on this website.